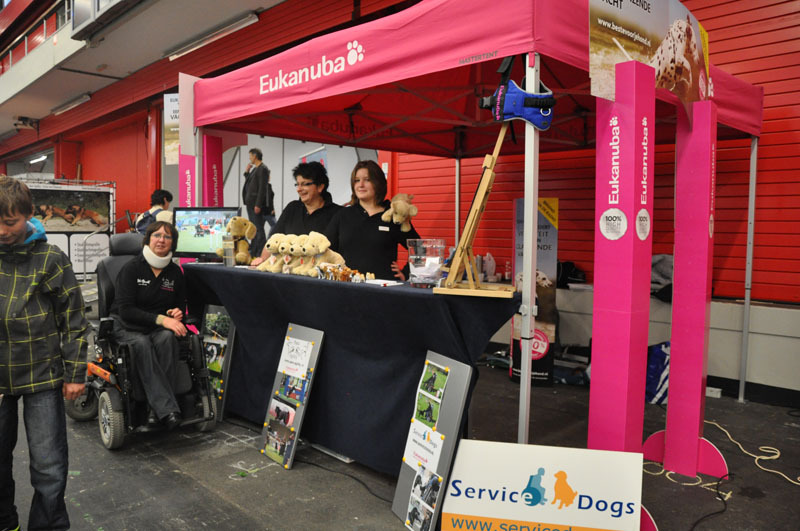 Eukanuba had invited us to give information about para-agility and organisation "Servicedogs" in a stand of them. 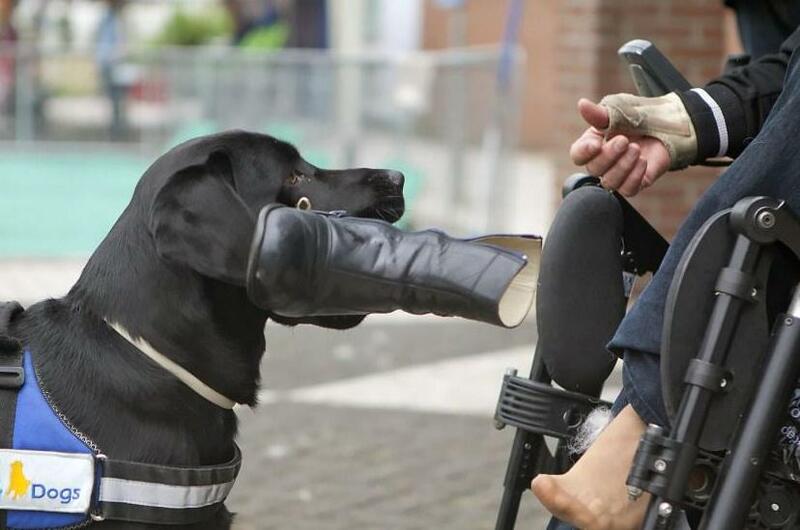 On saterday Joep was with me to show some demonstrations as servicedogs and on sunday I took Joy with me. Also video about para-agility. For the first time the organisation of this Dogshow had make the choice to organise it outdoor. We had given some demonstrations inside a tent. 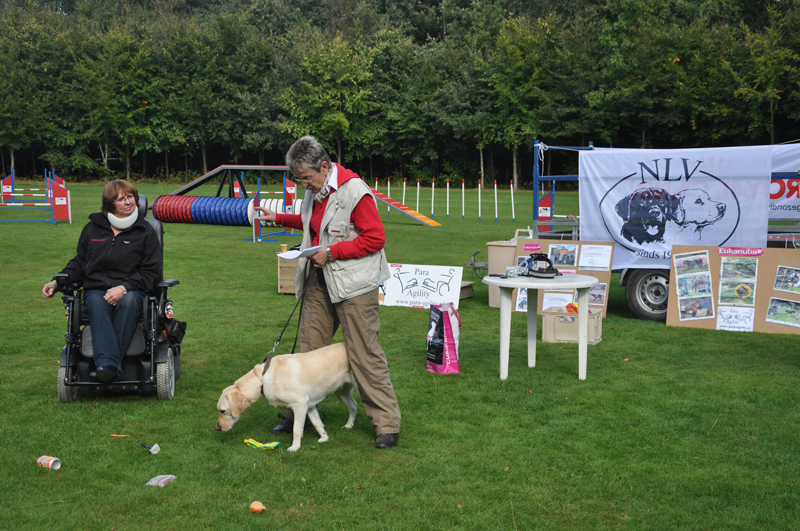 On Sunday 30 September the Dutch Labrador Retriever Club had organised an agility-workshop by Ingrid Veldkamp and Heika Vedder- de Vries for members of the NLV on the field of KC Assen in Assen. A very nice day...with only (most of them) Labrador Retrievers! The weather was very nice...blue sky with a lot of sun! 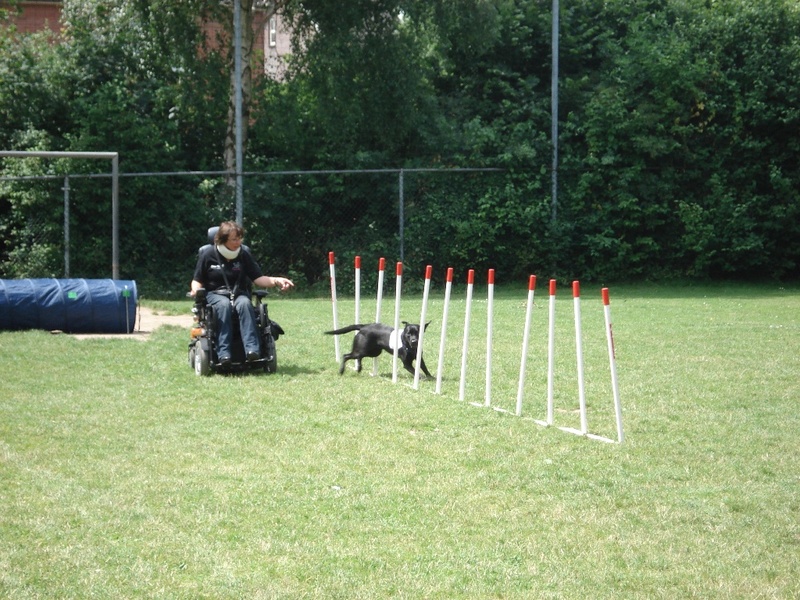 Joep and Joy had given demonstrations as servicedog and also run some nice agility-courses. For agility also of dogshool HSVA Belinda, Roy, Aude and Jolien. Joy take off my coat! On Saterday 7 july was for the 4th time organised the Erkemederhondendag by Camping and Day-recreation Erkemederstrand in Zeewolde. More then 4000 visitors, most of the time with their dog , came to this friendly dogevent with a lot of stands and demonstrations. Even you could have a nice swim with your dog into the Veluwemeer. There's a special part of the beach where dogs are allowed, the hole year! Together Els, Wim,Twan and Luuk Vet of dogtrainingsschool "Agilitydream" in Nijkerk, Guus and Anneriet Groenesteijn we have given demonstraties / workshops agility . Even I have showed with Joep and Joy how they can work as servicedogs. The organisation " Herwen Actief " ( young people of the small city Herwen) had asked us to give demonstrations servicedogs and para-agility on sunday. Fantastic sunny weather the hole day, a lot of very enthousiast visitors and many good demonstrations off all kind of dogsports! By car -breakdown on our journey back to the Netherlands from our holiday in France, we haven't the opportunity to give demonstrations servicedogs and para-agility on the 17th Country Fair in Aalten. 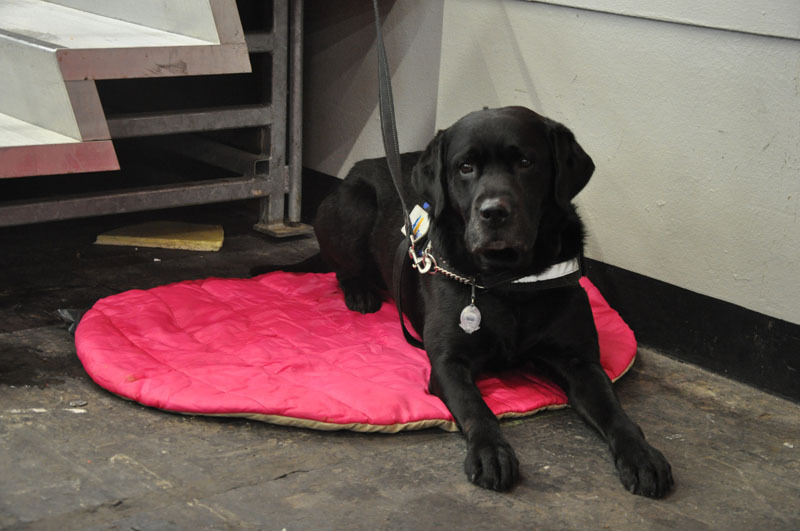 This year we want to enlarge the place for dogs on this event by giving more demonstrations and more sale-stands. Demonstrations had be given by: Miranda Wesselink with her team for frisbee (www.dogfrisbee.nl)Minna Estemaa with her team for doggy-dance, Hans Brien with his dogs for IPO, workshops flyball and bicycle-stepping by Jolanda van Eijking (www.hondenwarenhuisjolie.nl ), combi-sports and every day a big parade of all kind of breeds. By sponsor Eukanuba, the 10th Dog Walk was organised in the very nice town Hellevoetsluis. This was the reason for not many visitors for the many sales-stalls and demonstrations. We had given demonstrations servicedogs and para-agility. 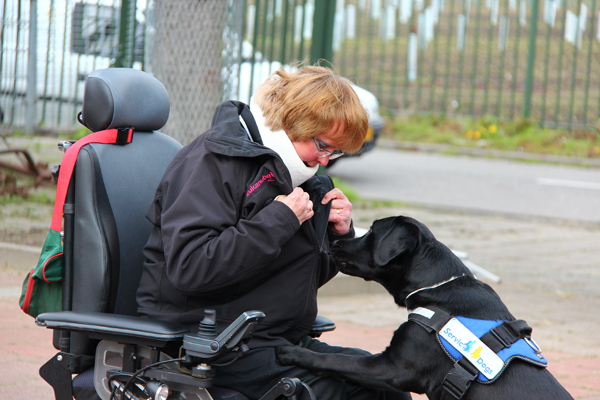 By the 10th Jubilee of the Vet-Practice Hoogland, located Zevenhuizerstraat 118a in Hoogland, we had given demonstrations servicedogs with Joep and Joy. Also in the building was a screen with video of us practise para-agility. We might show to a lot of inhabitants from Hoogland, how my dogs ( beside para-agility) are working as servicedogs. By this practice I have in treatment my dogs and the owner (Anneke Wijnbergen) is sponsoring us every year with the necessary immunizations for my dogs! 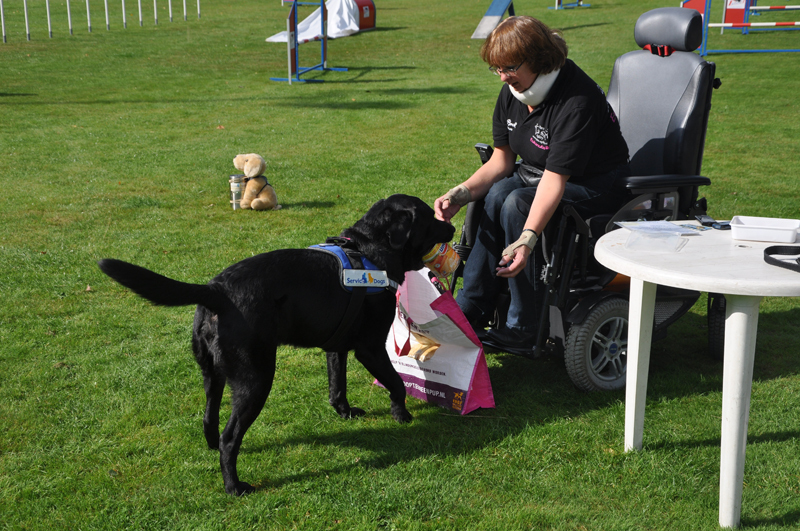 In this month a lot of dogschools were organising a special day with a lot of demonstrations of dogsports. 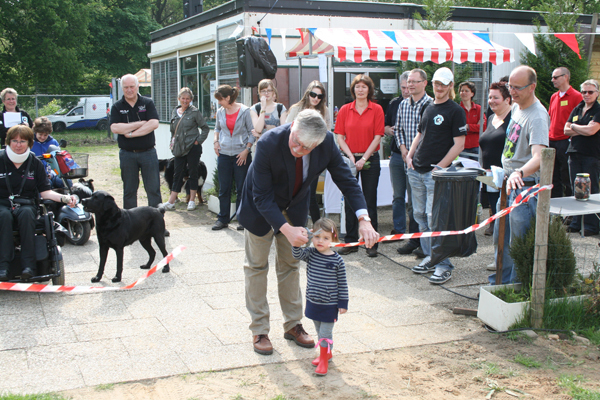 KC Neder Veluwe had asked us to give demonstration para-agility and servicedogs. The Mayor of Ede ( together his granddaughter) had started the day by cutting through a special ribbon. Immediately followed my dog Joep through the tunnel and had started the first agility-demonstration. A lot of different demonstrations, workshops and lectures were given, also a lot of information and sales-stands. 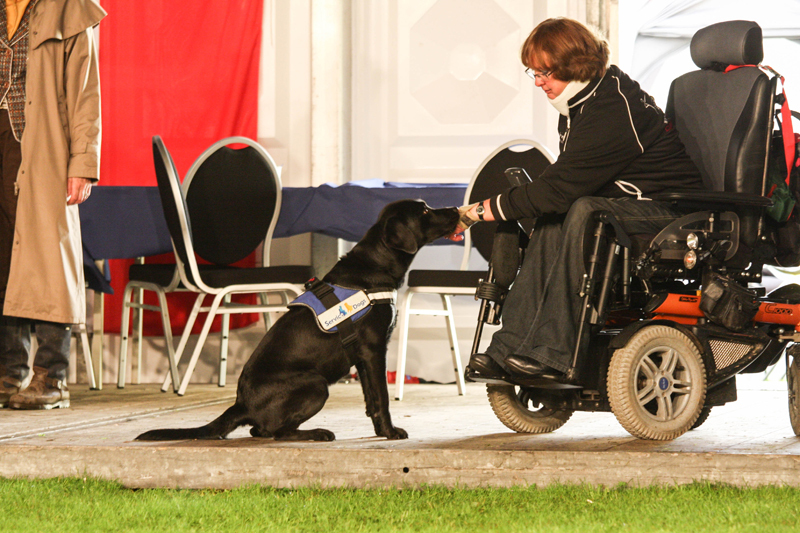 We hade given demonstration servicedogs and para-agility, together the group handlers under direction of Roy Fonteijn. Also on sunday a big agility-match. Babette Loos, a student of hight-school the Wellant College in Rotterdam, had organised (together some other students) as master-opject, a special day with a lot of demonstraties and the income for St. Personal Servicedogs, trainings-school for servicedogs. I had given demonstraties servicedogs and para-agility. The weather was very bad, but the day was very good organised and successful. 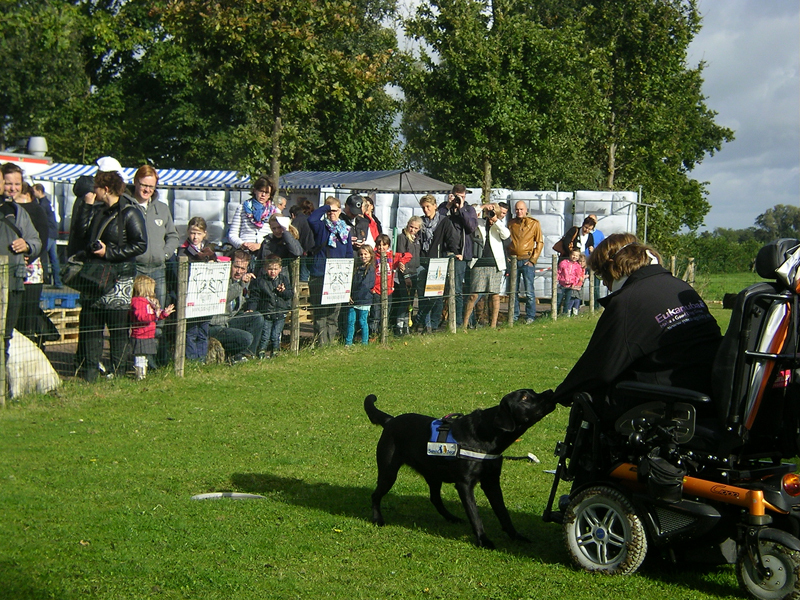 The organisation of the Dogshow in Hazerswoude-Dorp on 17 & 18-03-2012 had invited us to give demonstrations servicedogs and para-agility.